The Buhari Campaign Organisation, BCO, has lambasted the policy plan of the Peoples Democratic Party, PDP, presidential candidate, Atiku Abubakar. BCO said the former Vice Presidentâ€™s policy plan lacked remorse and was not people-friendly. The Economy and Strategy Team of BCO was reacting to Atikuâ€™s presidential candidateâ€™s speech in Sokoto where he flagged off his 2019 campaign. Abubakar had claimed that he will run a people-friendly government. Reacting, the group stressed that his policy plan said otherwise when viewed in detail. The statement reads, â€œIn the end, it was a non-event. To use a colloquialism it was â€˜a damp squibâ€™. If one wants to be kind, the best that can be said about the Atiku Policy Document is that it was rushed out to create a policy platform to mask the real intentions which is to regain power to continue business as usual. â€œLet us be candid, it is a wishy-washy, unimaginative and internally inconsistent document. In short it is â€˜Disatikulatedâ€™. BCO said, â€œAs such, it is bland and unimaginative and does not specify how the things it hopes to achieve can be done in terms of resources and bureaucratic capacity of the country. The group explained that one of the most striking things about the Atiku Policy Document was that it was mostly bereft of people-oriented policies. â€œApart from showing ignorance about the latest thinking around the positive impact that tackling multi-dimensional poverty has on growth, for the Atiku people to be talking about mere poverty alleviation shows that they are completely insensitive to the needs of ordinary Nigerians. â€œIn case what we are saying is not clear, let us put it in other words. Nobody in serious international development discourse these days talks about poverty alleviation. The reversion to poverty eradication later on in the document does not help their case. It only underscores the sloppy preparation of the document. â€œAnother great drawback of the Atiku Policy Document is that it pretends as if the past never happened. It makes no atonement for past looting and misgovernance and goes on as if there was nothing untoward in its past. 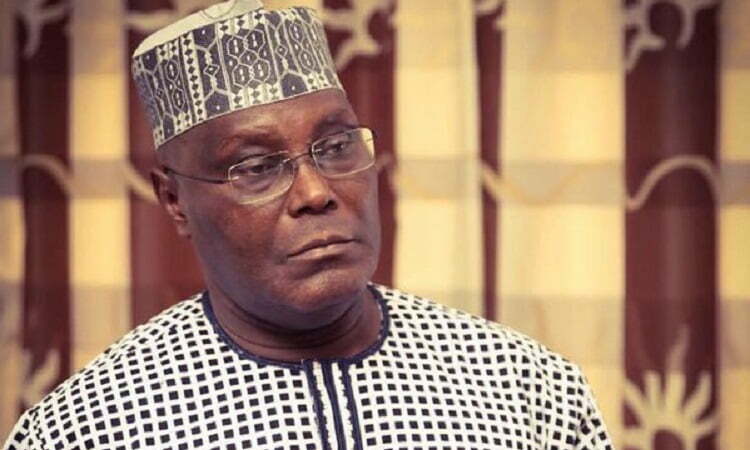 â€œHow can Atiku Abubakar talk about privatisation with a straight face? How can any PDP person fail to explain why huge funds were voted year after year for projects with no results to show? It is only here in Nigeria that a party boasts about projects it started but â€˜Did Not Finish (DNF)â€™ which is the result given to failed athletes. The group said it carried out a thorough analysis of the Atiku document and that it talks about increasing debt with a straight face. â€œHow about the huge debts left for the incoming APC government that were hidden away? These include the $6.8bn on unsettled JV cash calls or indeed the up to N2.2 trillion owed to States, contractors, pensioners, exporters etc. that created a huge debt overhang in the economy but were excluded from official debt figures? Even religions that offer forgiveness do so on the basis of repentance for past misdeeds,â€ the group said.